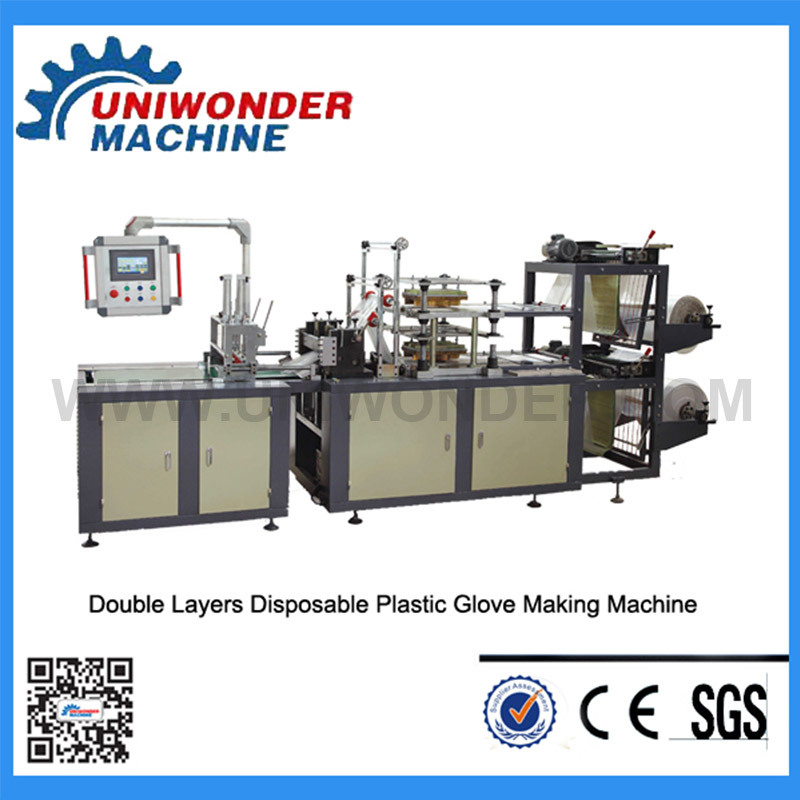 The disposable glove making machine successfully researched and developed by our company through accumulating many years of experience in the production of high and low pressure glove making machine, replacing the original electric heating wire model homemade equipment, with stable product quality, automatic control, easy to operate and maintenance. 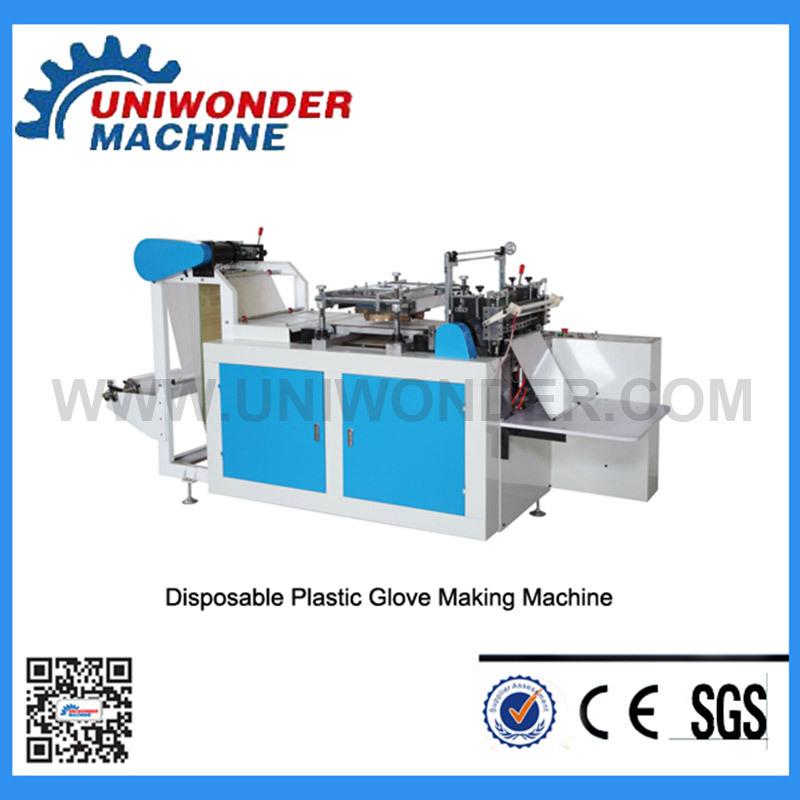 The disposable glove making machine successfully researched and developed by our company through accumulating many years of experience in the production of high and low pressure glove making machine, replacing the original electric heating wire model homemade equipment, with stable product quality, automatic control, easy to operate and maintenance. 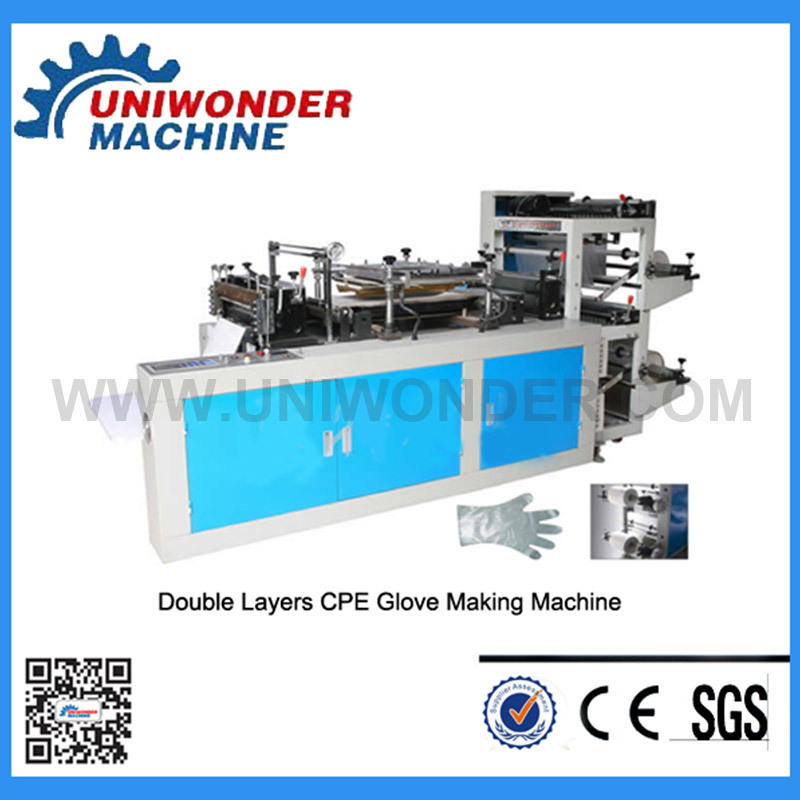 It is the ideal equipment for producing PE, EVA and CPE film glove. The main power of the machine adopts 1.5KW 220V frequency converter and inverter motor which with stable performance and low noise. 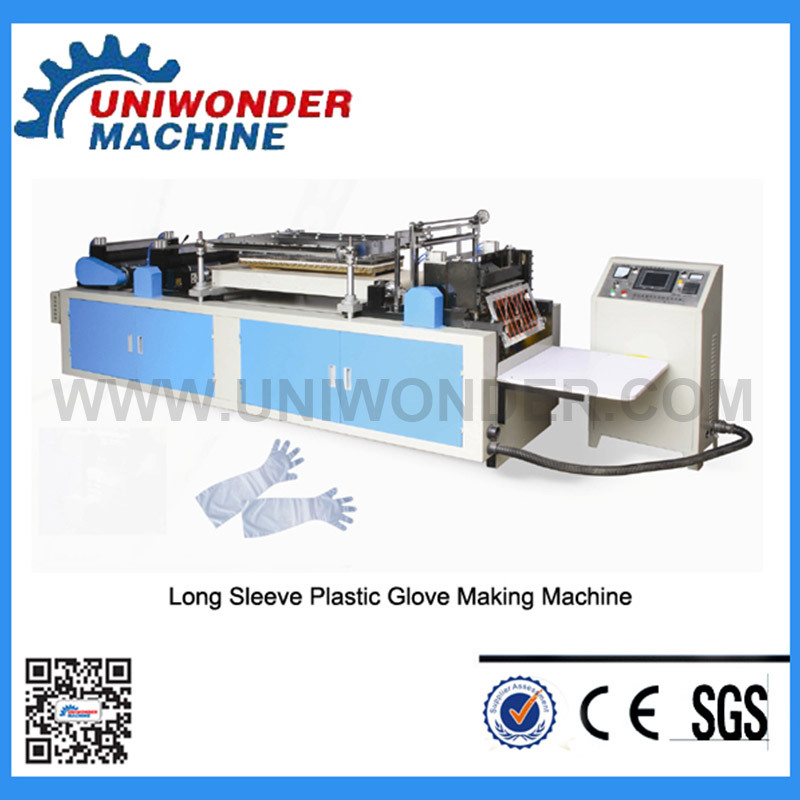 It controlled by single chip microcomputer, and it adopts three-phase mix stepper motor and actuator, which have such advantage as low maintenance and low noise.